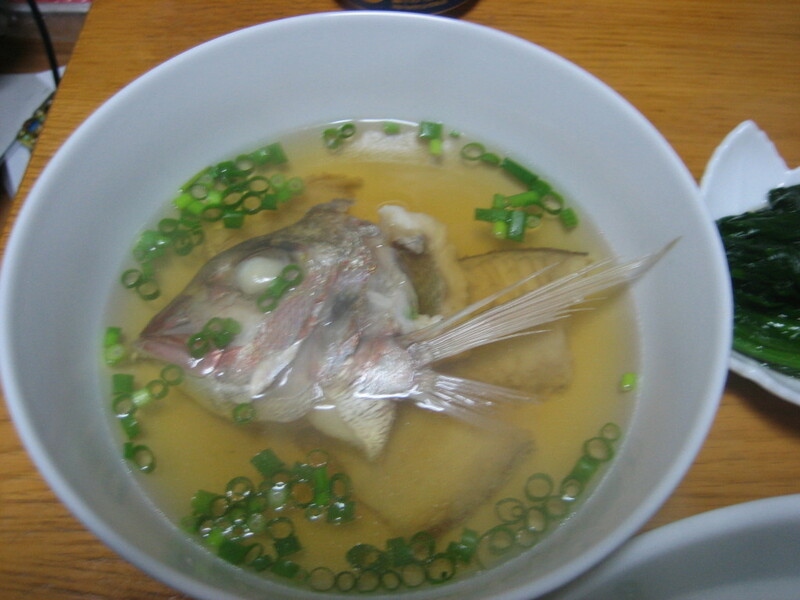 Ushio-jiru is a very simple soup made of sea food. 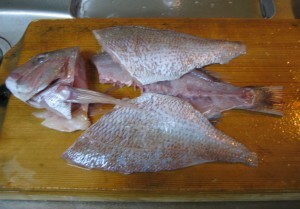 It is a food of fishermen originally. 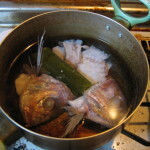 The basis of the soup is only soup stock from fish or shell and salt. It has gentle and elegant taste. 1) Eliminating scales and wash head part well. 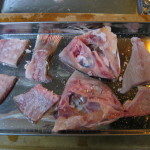 There are some blood clot around born and it will make food as smell of fish. They should be eliminated. 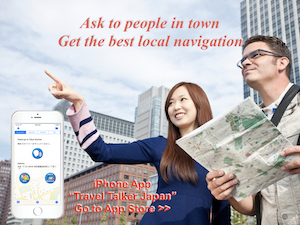 Using toothbrush, it becomes easier. 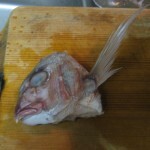 3) Boil water in a pot, then dip sea bream in it. Head parts will be put about 45 – 60 seconds. Born parts will be put about 15 – 20 seconds. After boiling, put them into cold water (with ice is better). When they become cold, wash them under running water. Eliminate dust, remaining scales etc. 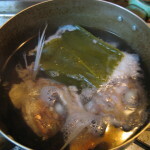 4) Put water (700ml at this time), sea bream and kelp in a pot. Then heat the water. 5) Before boiling, pick up kelp. 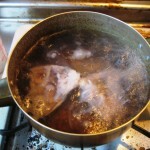 Keep boiling water with low heat (boiling silently) and take the lye. 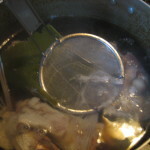 6) About 20 or 30 min., there are no lye and soup becomes transparent. Then put a little salt as your favorite. Also I put some soy sauce for flavor. At this time, I put some green onion on to the soup. With 700ml water, it will be enough for 2 soup bowl. It is good if you put some meat while cooking the soup. 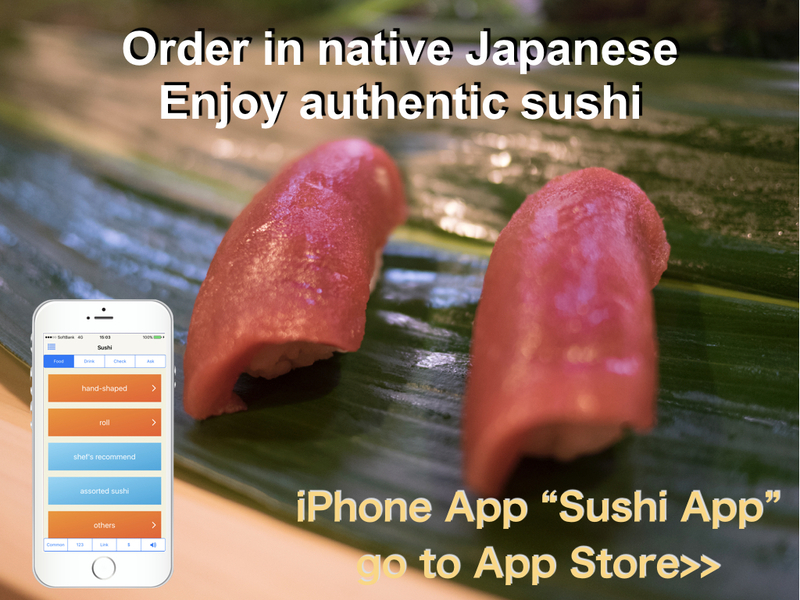 You can enjoy the soup itself, and also put the soup on the rice.